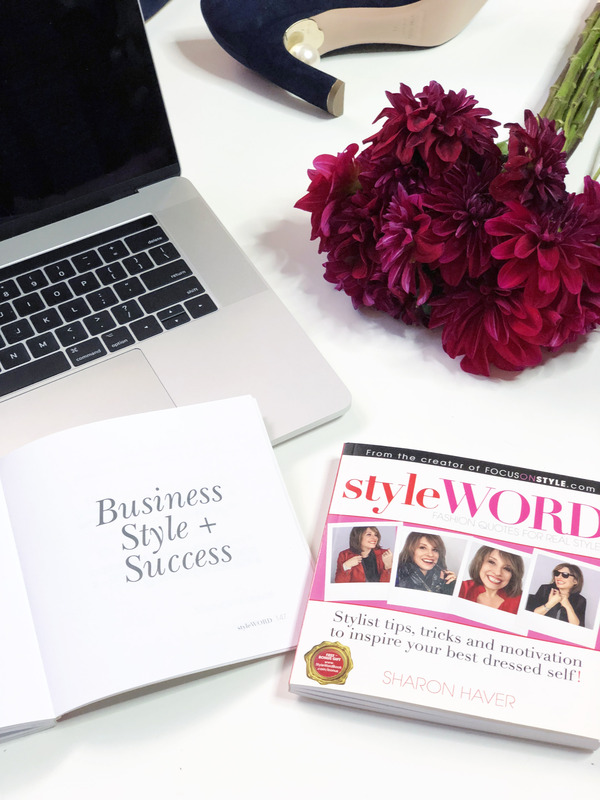 StyleWORD: Fashion Quotes For Real Style -The ultimate cheat sheet to upgrade your look with beauty tips, style snippets, and fashion quotes for solid image advice + motivation to elevate your everyday chic style whether you need introductory stylist advice or a wardrobe refresher. The difference between dilly-dallying and success (in anything) is accountability. True mastery comes from repetition. Physically writing with a pen and paper boosts memory and increases the ability to understand concepts. Using a daily planner keeps your organized and boosts productivity. Order my new book today + all these goodies are FREE for you! 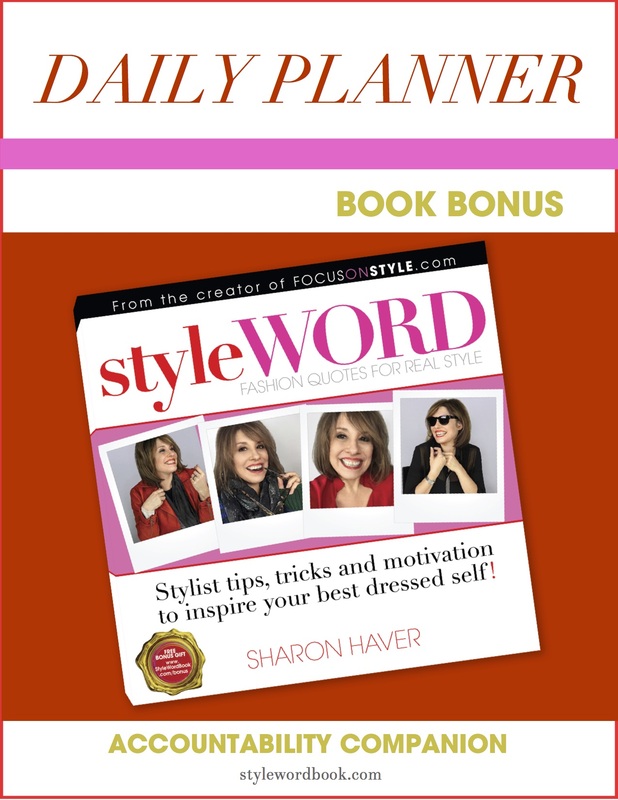 Get my 86 page Daily Planner Accountability Companion to help you on you journey to better style. This planner lets you track your progress as you read the book and ensures that your take-aways make a difference in how you are perceived going forward! 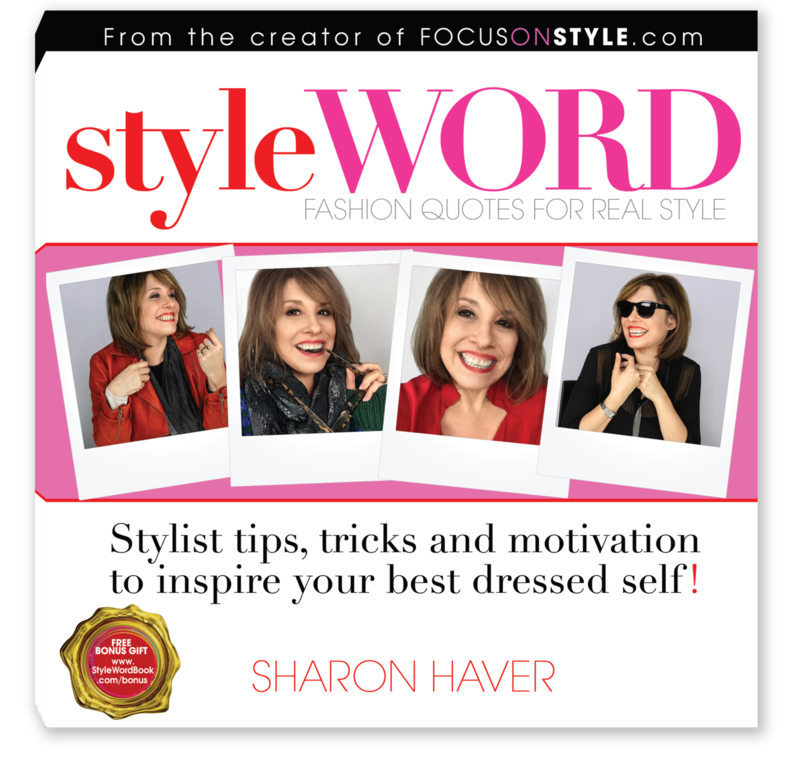 StyleWORD: Fashion Quotes For Real Style is the ultimate cheat sheet to upgrade your look with beauty tips, style snippets, and fashion quotes for solid image advice to elevate your everyday style whether you need introductory stylist advice or a wardrobe refresher. First impressions are made in under seven seconds. In the modern visual world, how you look is how you are perceived. Whether you want to succeed in business, light up a room, feel confident, or be age appropriate- your style speaks volumes. Sharon Haver and her work have appeared in the media nearly 1,000 times during her three-decade career. She has 15 years of experience as a New York photography fashion stylist and founder the web site FocusOnStyle.com, where she has been sharing her style expert tips since 1999 so that women can look their best in a way that’s relatable. She brought her behind the scenes insider tips to newspapers with her Focus on Style fashion advice column on the Scripps Howard News Service, and is the creator of Simply Amazing Headshots, C’est Chic Crash Course, and host of the 7 Days to Amazing Podcast. 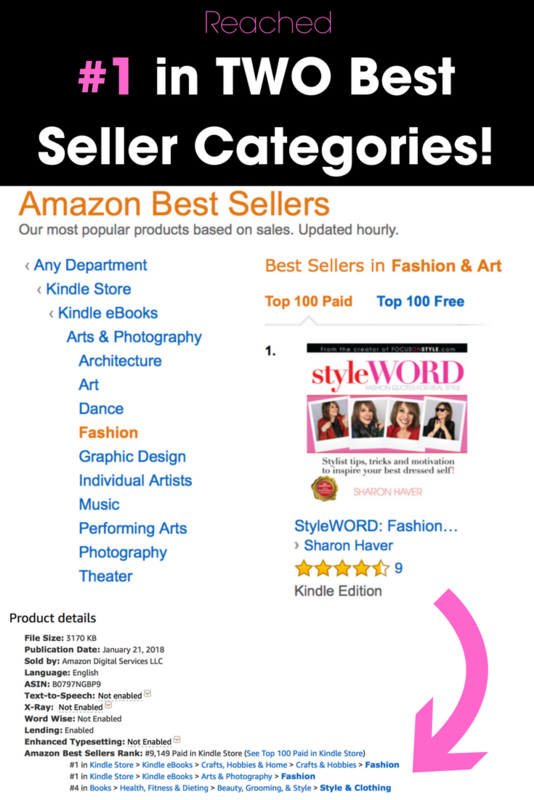 As an internationally recognized style expert and female entrepreneur, Sharon’s been featured in television, radio, print, and online media such as Real Simple magazine, CNN.com, Martha Stewart.com, Oprah.com, ELLE, The New York Times, The Los Angeles Times, Forbes.com and more. Download your free Daily Planner. I recommend keeping it in a binder to stay organized (Staples has some nice looking 1” binders). Get your favorite pen or pencil. Every day for the the next 49 days, set aside just a few minutes to get motivated, inspired and reflective about your style and how you want to feel and how you want to be perceived. The Daily Planner is divided into 7 Sections- One planner section to correspond with the chapter in the StyleWord book, and there is a weekly goal set as well as a daily planner pages so you can incrementally build your style. And I have even included a spot for notes in the planner. You can clip inspiration photos there or sketch out ideas, if you like. Don’t miss this opportunity to get a copy of my new book plus my 86 page Daily Planner Accountability Companion for a limited time!